Tripod Banner System - Tradeshow Essential! E Printing offers the most commercial viable banner systems on the market today and one of our top sellers is the tripod banner system. 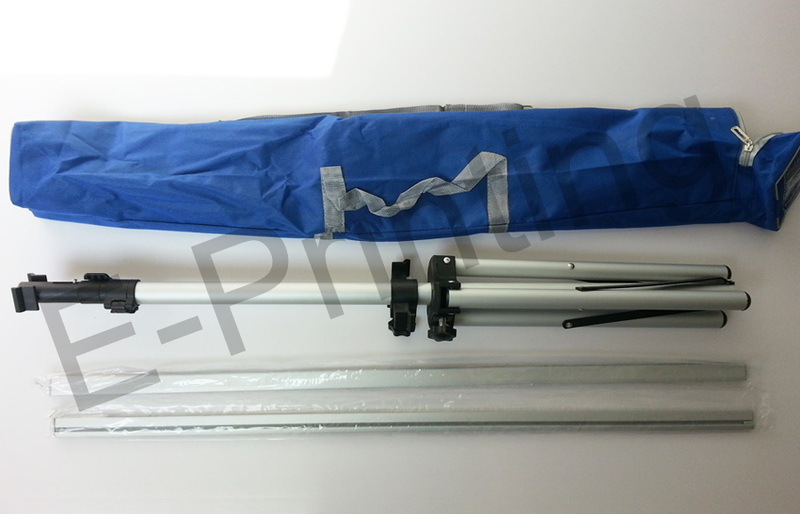 The tripod banner system makes the banner flexible in terms of height adjustment, so suits any user. The tripod banner are lightweight and at the same time portable and also offer single or double sided graphics to catch attention from your audience on both sides. The tripod banner system is the ultimate banner stand, very affordable and at the same time durable, the stand is easy to transport, assemble and take down so no time lost in this process. The tripod banner system will bring an air of creativity to any show or retail floor. 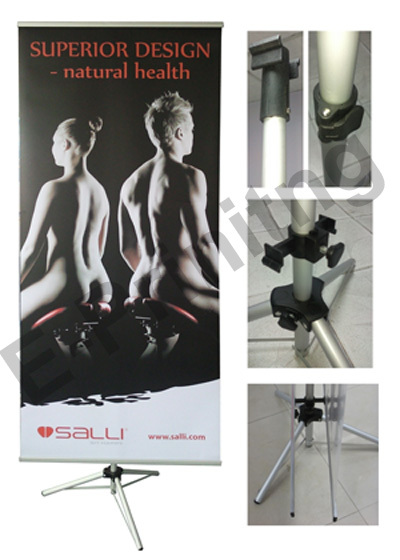 Marketing campaigns effectively use roller banners, however, the tripod option is far more user friendly. E Printing produce graphic quality ensuring colour vibrancy to enable your design, company name, logo to be displayed at its best. The tripod banner system is a very affordable banner system and is available at E Printing they come complete with a compact lightweight holdall. Trade shows are calling out for the tripod banner system so if you require a banner for your event contact E Printing today. Make your statement with a tripod banner system and appeal to your public. Please click prices below to see details. Other type or amount, please click here to get free quote.